Our goal is to connect people with the best local experts. We scored wedding photographers on more than 25 variables across five categories, and analysed the results to give you a hand-picked list of the best wedding photographers in Campbell, CA. The team of Luke and BreAnne Cunningham have well over 20 years of combined photography experience and seek to give couples the best-looking wedding photos possible. 1985Luke Photography also does engagement shoots, family shoots, and corporate photography. Past customers have praised the company for their friendly and down to earth nature, taking the stress and awkwardness out of taking wedding and engagement photos. Also, past clients were quick to point out the calm demeanor and laid back attitude of Luke and BreAnne and their ability to capture the most candid and authentic moments on camera, which made for a memorable and visually striking set of photographs. 1985Luke Photography has won Best of the Knot from 2014-2017 and is featured in The Best of the Knot Hall of Fame. Anor Photography enjoys an excellent reputation for carefully crafting exceptional quality images that consistently exceed client expectations. The creatively talented, Boulder Creek-area wedding photographer specializes in utilizing natural light to deliver portraits that are distinctive, one-of-a-kind works of art. Discerning clients can trust the technically skilled photographic artist to capture and preserve special life moments that reflect unique personalities and genuine emotion in highly customized sessions. Anor Photography takes a fun, fresh approach to creating images that appeal to a broad range of client needs and tastes. The dedicated professional commits to delivering top-quality photographs with warmth and beauty that yield outstanding finished results. Briana Calderon Photography is a photography business based in the San Francisco Bay Area of California. Briana specializes in wedding and bridal photos, maternity pictures, senior portraits, and family portrait sessions. Every single wedding package includes an engagement shoot at the desired location and a private, online gallery along with all the edited images from the shoot and wedding day. Customers highly rate Briana's attention to detail, professionalism, friendly and accommodating personality, and consistently reliable service. Briana Calderon Photography was a winner of the WeddingWire Couples' Choice Awards in 2017 and a 2016 pick for TheKnot's Best of Weddings award. 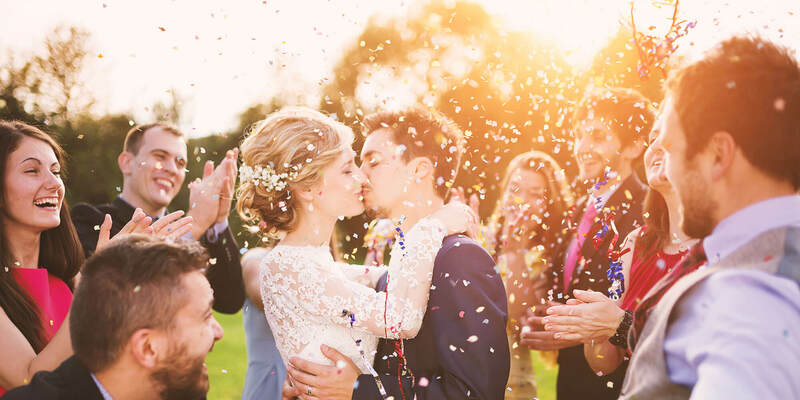 The owner of Danielle Gillett Photo is an award-winning photojournalist with a passion for capturing the eternal romance, drama, and excitement of weddings. The photographer has a soft, editorial style that tells compelling stories with colorful and stunning imagery, perfect for couples who want to preserve every precious moment of one of life’s greatest commitments, whether they plan to have a gala wedding with hundreds of guests or a quiet, private ceremony for a small group of friends and family. The studio also offers bright and beautiful engagement, family, and newborn portrait sessions, all designed to make customers feel comfortable so their true personalities can shine through. Customers can see galleries of past work on the studio’s website and fill out the online contact form to get more information about sessions and pricing. Deanna Graham Photography serves Campbell, California, and the surrounding areas. Deanna Graham, the owner and primary photographer at Deanna Graham Photography, is willing to travel to most destinations for shoots. She specializes in photographing weddings, babies, bellies, engagements, locations, graduates, families, boudoir, and children. She won the Couples' Choice Award in 2016 from Wedding Wire. With more than 25 years of experience, Deanna is committed to showing the hearts and souls of the unique people she photographs. Clients on Yelp, Wedding Wire, and The Knot rated Deanna Graham Photography five stars, saying Deanna had the knowledge, skills, and experience to translate their vision into beautiful photographs. Gomez Images offers wedding photography based in San Jose, California serving the South Bay region and the greater San Francisco Bay area customers. They offer wedding and quinceanera photography and have several levels of packages to fit customer's budgets. Owner Victor Gomez became interested in photography while attending California State University Hayward, and has since worked in the industry for over a decade both in camera shops and learning the craft before starting Gomez Images in 2008. He has continued to develop his skills by collaborating with other photographers and by attending seminars and workshops. Gomez Images offers a complimentary engagement session for all weddings and gets to know the couple, so their photos reflect the couple. Located in San Jose, California, Jen Vazquez Photography does wedding and engagement photography all over the Bay Area, Carmel, Monterey, Half Moon Bay, Sonoma, Napa, San Francisco, and Lake Tahoe. As a photographer, Jen specializes in creating vibrant, elegant, genuine and timeless images. Clients love her professionalism, personal touch, and positive attitude. She continues to improve and update her skills by training under some of the best wedding photographers such as Jasmine Star and Susan Stripling. Her works have been featured in Borrowed & Blue, Brides & Weddings Magazine, Elegant Wedding, Wedding Colors, and Perfect Wedding Guide. Her recognitions include Thumbtack’s 2016 Top 10 Best Photographers in San Jose and Top Pro Award for 2015, 2016 and 2017. Lacy Michelle Photography, based in Northern California and traveling Everywhere, gets its name from founder and chief photographer Lacy Michelle, who has been practicing the art of digital and traditional film photography for over 15 years. She is professionally schooled and highly rated and reviewed on Yelp and social media. Lacey specializes in bringing truth and warmth to her work, with an emphasis on a candid, documentary style blended with more traditional portraiture. Lacey offers fully customizable organization and construction of beautiful, built-to-last wedding albums, and is available for elopement and destination weddings. Motion and color are prominently featured in her extensive online portfolio. Le-Dezign Photography in Campbell, California provides photography services for expectant mothers, children, newborns, couples, and families. The company’s photographer, Elli, is focused on creating beautiful photos that her clients will treasure. She continues to improve upon her skills and studies a variety of art-related subjects including fashion and graphic design. She offers several photo package options that include high resolution and professionally edited digital photos. Elli also provides cake smash photos, Santa photo sessions, and holiday family sessions. Previous customers recommend Le-Dezign photography because Elli is professional, highly-talented, and committed to her client's happiness. Based in Silicon Valley, Michael James Photography is owned and operated by Michael James Buchanan. They specialize in wedding and lifestyle photography in the San Francisco and San Jose Bay area. Along with his wife, Jehn, Michael captures weddings and special moments with ease and professionalism. They believe that communication is key in creating the perfect pictures. Professional yet personable, Michael James Photography provides beautiful, unique images while being timely and responsive. They have been featured in numerous publications including Rock & Roll Bride, Grey Likes Weddings, and Wedding Party. They have also been recognized as Best of Weddings by The Knot in 2014 and 2015. Mindy Webb Photography captures both wedding photographs and portraits for the San Jose, California community and surrounding area. Mindy Webb has been photographing for over eight years and works with clients to create stylized photographs that meet their desires. She offers a wedding photograph package that includes six hours of coverage. Photos are uploaded to an online gallery that both friends and family can view, while clients can download and print images an unlimited number of times. The portrait package includes easy-to-use photo sharing for streamlined posting to social media. Mindy Webb Photography offers a 30-day money back guarantee that has yet to be used by any client. Clients commend Mindy Webb Photography’s ability to bring out her client's personalities in her photographs. P.I.C. Photo specializes in providing discerning clients with exceptional quality, distinctive images that consistently exceed expectations. The talented San Jose-area photographic team focuses on carefully capturing and preserving life's precious moments that families will treasure for years to come. The exceptionally gifted duo creates unique, one-of-a-kind portraits featuring newborns, growing kids, engaged couples, weddings, expectant moms, families, and more. P.I.C. Photo has an excellent reputation for taking a fresh approach to photography that appeals to a range of client needs and tastes. The well-respected team of lifestyle photographers delivers top-notch imagery with keen attention to detail that yields stunning finished results. Portrait by Tony is a respected photography provider in San Jose, who continually receives five-star ratings from past and present clients. The company has been part of the industry since 2002, and it focuses its lens on capturing the beauty of people, as individuals and in groups. The shop covers celebrations of love of all sorts, including surprise proposals and multi-cultural matrimonial rites, and it immortalizes the magic and bliss of weddings without being obtrusive and judgmental. The owner, Tony, is a natural behind the camera, and he and his team use high-tech equipment to produce sharp and clear images. Portrait by Tony has appeared on CBS’ and other lifestyle shows, and some of the products are digital galleries, professionally crafted albums, and canvas prints. Sky Blue Photography is a wedding, corporate, family, and newborn photographer and visual storyteller. The company's newborn photographs have included subjects a few years and only a couple weeks old. Sky Blue Photography has shot graduation parties at country clubs and hotels, weddings at hotels, and conferences at prominent hotels in San Francisco. The company is based in San Francisco, and Sky Blue is happy to serve its community with a commitment to high-quality photo services documenting all its clients' most intimate and personal milestones in their lives. The company also has an offshoot company called Ocean Blue Videography, from which it has produced wedding videos for previous customers. ToanVen Photography specializes in providing discerning clients with the highest quality portraits available. The creatively talented, San Francisco-area wedding photographer takes a fresh approach to image creation that yields an outstanding finished result. The passionate photographic artist is technically skilled and has an excellent reputation for using light to produce exceptional engagement, wedding, and family portraits that consistently exceed expectations. ToanVen Photography commits to capturing and preserving special life moments with the distinctive use of beautiful local scenery. Clients can trust the dedicated professional to deliver heirloom quality photographs that reflect their unique essence and personality during highly customized photo sessions.